In a summer full of soccer (Women’s World Cup, Copa America, etc.) 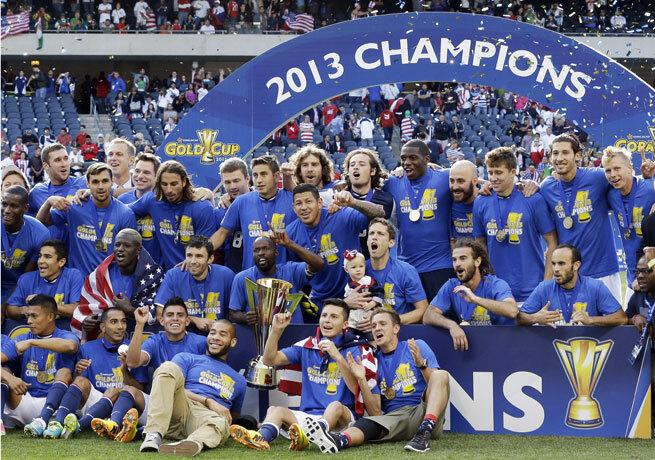 that has kept fans satisfied while waiting for the new seasons of European league soccer to begin, we have finally neared the end, with the Gold Cup semifinals taking place Wednesday night. The favorites, U.S. and Mexico, advanced to the semis in ways that could not be any more different; Mexico with a controversial penalty awarded at the end of extra time, and the U.S. with a comfortable 6-0 drubbing over a Cuba squad that has lost several players to defection. Now we enter the semifinals (U.S. v. Jamaica and Mexico v. Panama) with a place in the final and ultimately a berth into the 2017 Confederations Cup in Russia at stake. Here are some players to look out for and predictions for the rest of the tournament. Who is the player to watch in the semifinals? Jake: Gueillermo Ochoa, and this goes for the final too if Mexico make it. Ochoa’s save of Joel Campbell’s shot, following the Arsenal man’s sublime run was unbelievable. Somehow “Memo” almost made a desperate, flailing dive appear to be an even more spectacular show of skill and athleticism than Campbell’s run. He was rewarded a few minutes later when Mexico was given a controversial penalty and the match. 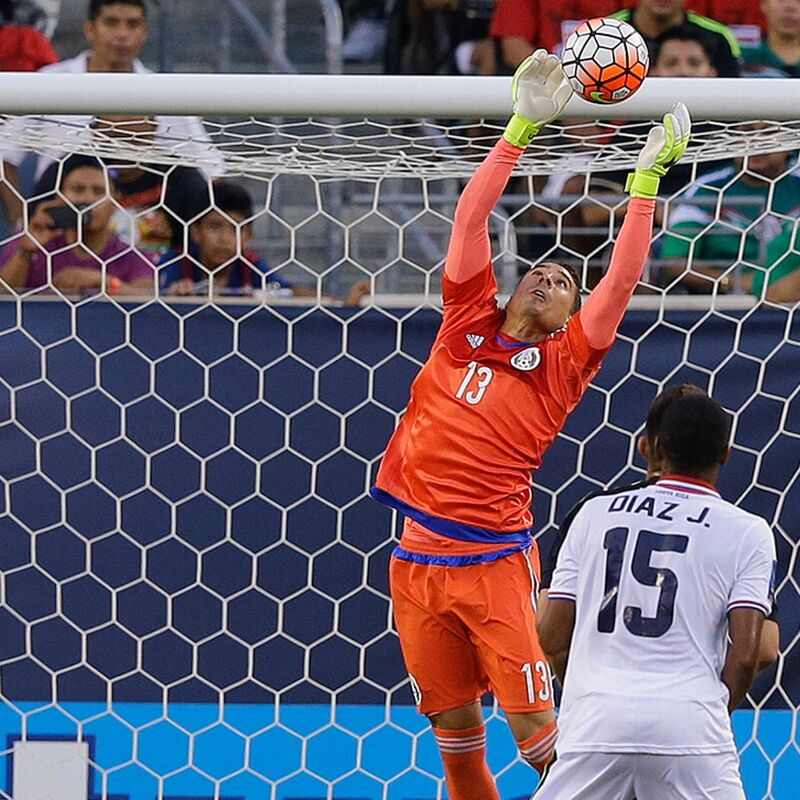 No matter how poorly the Mexicans play, no matter how dismal their forwards can be at finishing shots, if you can’t score on ’em, you can’t beat ’em, and Ochoa’s formidable frame in goal will have something to say about that. Tunde: Michael Bradley. Not really a bold choice, but Bradley is the most irreplaceable player in the U.S. squad, because of his role as the midfield linchpin. Bradley drives most of the U.S. offense and is probably the only central midfielder the U.S. has that can effectively maintain possession for the side. Expect Bradley to run the game for the U.S. and contribute several key passes to the attack. The MVP of the Semis? Jake: Clint Dempsey. Who else? The guy is a monster uncaged at the moment. Keep feeding him. Tunde: Andres Guardado. Most of the creativity and chance creation for Mexico comes from Guardado. Guardado is crucial to Mexico’s possession heavy playing style and can also contribute with goals of his own. Look for him to get at least one goal or assist in the semis. The under the radar player to have the biggest impact? Jake: Oribe Peralta. If you forget who this guy is, get educated. He scored a crucial goal in the 2014 World Cup against Cameroon in a narrow 1-0 escape for El Tri, and he put 3 past Cuba in this Gold Cup already, matching his American counterpart, Clint Dempsey. Though Peralta is not in the same class as Deuce, he is, as the Brits might say, rather cheeky, and he will cause problems for Mexico’s opponents late in the tournament with his darting runs and ability to find open space. Tunde: Alejandro Bedoya. Since he’s become well-established in the starting 11 for the U.S. he’s provided a necessary spark to the attack, providing much needed width and crossing to provide the service needed for Dempsey and Johannsson. Bedoya also does sufficient defensive work, creating defensive solidity on the wings and freeing up Fabian Johnson to contribute more to the attack. 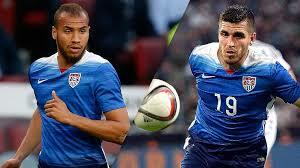 Will Bedoya (left) be the difference in the semis? Which will be the better game? Jake: Panama-Mexico. There’s never any telling what type of team Mexico will be in any given match. They could score 4+ in this one or zero. A lower tally is more likely for both sides, but it’s likely to be competitive and hard fought at the least. Tunde: U.S.-Jamaica. This one is really a toss-up because while Mexico probably has the most threatening attack in the tournament they have struggled to break down strong defenses that pack everyone behind the ball, something I fully expect Panama to do. Expect the U.S. Jamaica game to be more open, especially due to the well-documented fragility of the U.S. back line. Also, the U.S.’s gained confidence/momentum from the 6-0 thrashing of Cuba should carry into the semis. What will be the biggest surprise of the semis? 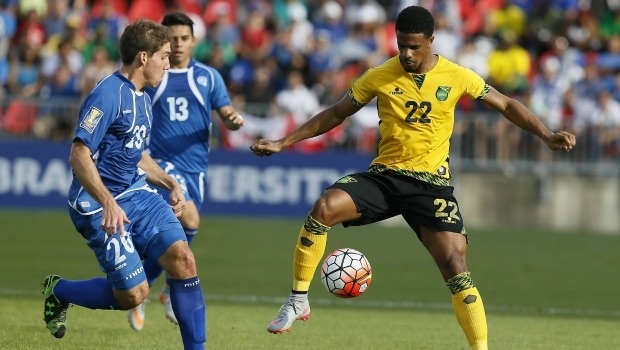 Jake: Jamaica will give the U.S. a game. Midfielder Gareth McCleary, who plays professionally for Reading in England, and has two goals in the tournament so far, could sneak one past Big Bad Brad Guzan in the American net. Tunde: Despite the strength of their attack and the many chances they create, Mexico’s strikers have been relatively inefficient, misfiring on a lot of chances. Mexico will only score one goal in their semifinal, and they could be pushed into extra time/penalties. Jake: Mexico puts forth a lackluster performance but has just enough luck or superior skill to make to the final. 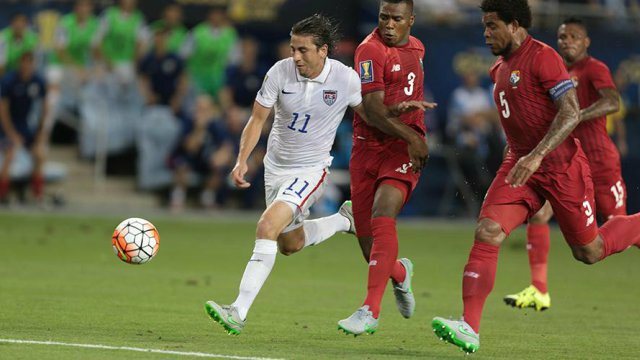 The U.S. beats back a brief and desperate Jamaican barrage to win comfortably in the end. In the Final, the Americans take care of business with Dempsey and Michael Bradley scoring or assisting on all of the goals. Tunde: Mexico will do just enough to grind out a 1 goal victory against Panama, and the U.S. will defeat Jamaica 2-1 or 3-1 in a surprisingly open and competitive game. In the final that most people wanted/predicted, the U.S. will overcome their defensive issues and outscore Mexico’s fierce attack with great performances from Guzan, Bradley, and Dempsey. U.S.-Jamaica is at 6:00 PM EST on Fox Sports 1 and Mexico-Panama is at 9:00 PM EST on Fox Sports 2.